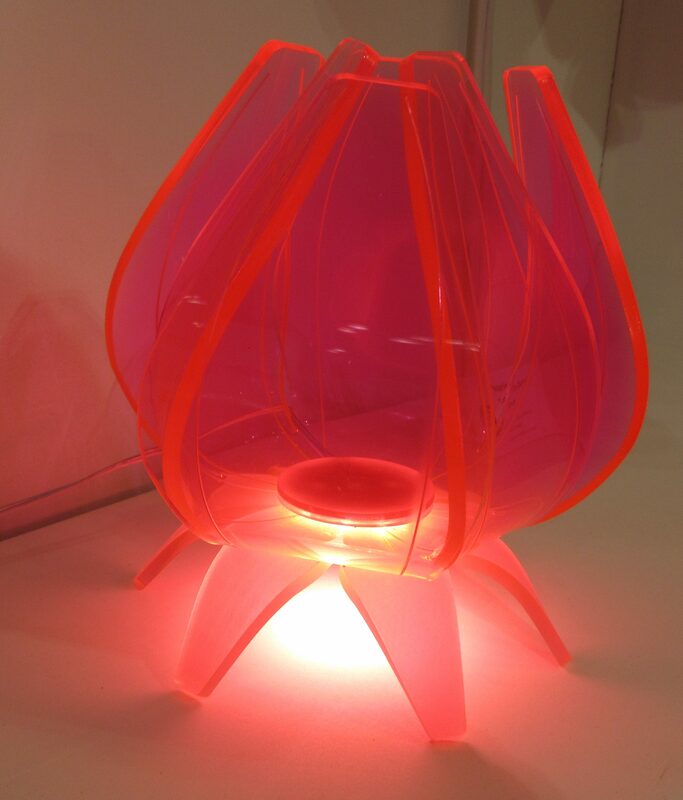 On the lookout for cool Pink Things at the ICFF, we spotted this ‘illuminating’ design by UIC student Maria Diamond. 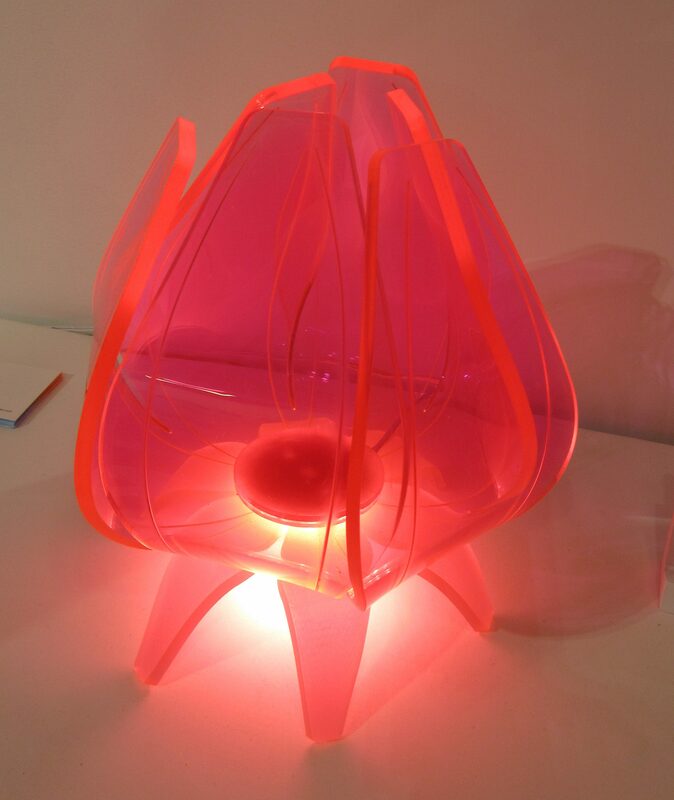 Emby, a bud-shaped sculptural lamp, is made from fluorescent pink sheets of acrylic. This type of acrylic is unique in that it has colored edges that have a natural glow to them. Its light source — an LED puck light that is also covered by acrylic — was placed to shine downwards into the acrylic, forcing it to refract through the curves and the etched contours of this organic form. 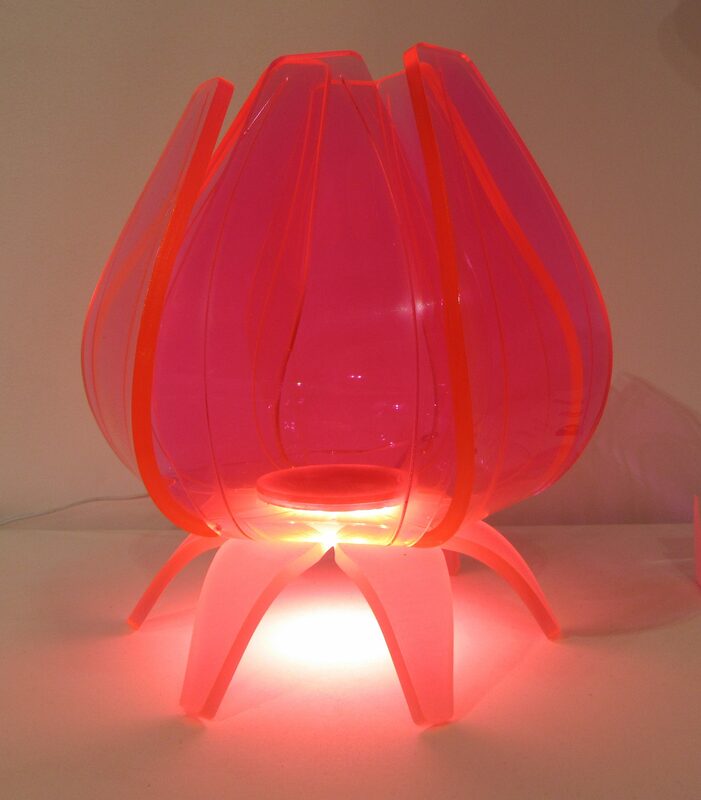 Inspired by the form of a flower, the acrylic was heated and shaped in a way that best-defined the edges, to create a rosy glowing lamp. Stunning! The designer continues, “I thought it was interesting to have the puck light be its own piece, because most people would assume the central placement of a light would shine up and out of a form. Instead, I did the opposite; that, when turned on, the source of light providing the natural glow from the edges is questioned. Maria is selling this design for $180 and is open to making additional lamps in different colors. You can contact her by leaving a message in comment section!